We are about halfway through the semester and the students have come a considerable way since we first began. Improvement is visible on all fronts, but most importantly, the students are better English speakers, writers, and readers. In Reading, we read a new story called “Why I’m Late Today.” A character-driven tale about a girl who is late for school because of an accidental journey into space, “Why I’m Late Today” allowed us to have meaningful conversations about plot in the context of science fiction. The story was told in reverse order, with the main character tracing her journey back to where it started — in her backyard. Thus, we also talked about cause-and-effect, and how each plot point led to the development of another. In addition, “Why I’m Late Today” was able to inspire creativity in students for their new writing project: “Alien Encounter.” Students were tasked to write about an imaginary journey into space, where they land on an alien planet and interact with a foreign species. The target goal was to improve students’ ability to write in detail and take their reader to an imaginary, but visceral place. They had to think with their senses: What did the aliens look like? What did they smell like? What did they feel like? 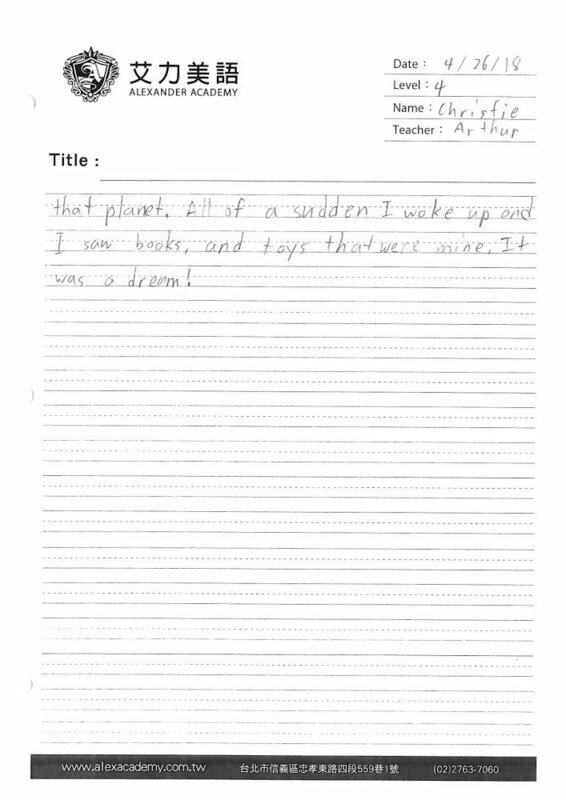 From what I’ve read thus far, the students have done an outstanding job of thinking creatively and writing vibrant tales of their first alien encounter. Space was also at the center of our discussion in Science. We discussed broad topics such as the reason for day and night time, and went into detail about moon phases and why they occur. Students made flipbooks to help them remember the names of different moon phases and the positioning of the Earth, Moon, and Sun that causes them to occur. We also talked about shadows and how the Earth’s Rotation causes shadows to change throughout the day. To further this conversation, we made tinfoil sculptures of ourselves and replicated their shadows with black construction paper on a small platform. In Social Studies, we examined the word ‘hero,’ and brainstormed the different characteristics that heroes demonstrate through their actions. We looked specifically at two important female heroes: Malala Yousafzai and Harriet Tubman. Through video and text, we learned about why these figures are revered, constantly looking back to our brainstorm for heroic traits that they embody. On our last week of heroes, we made Venn diagrams that analyzed the similarities and differences between the two. In Grammar, we’ve moved past parts of speech into subject-verb agreement. Since it is a consistent challenge for students to apply this concept to their writing, we spent two weeks reexamining the rules of subject-verb agreement as well as refining our skills through grammar exercises. Just recently, we’ve started subject and object pronouns, looking at how pronouns change depending on whether they come before or after verbs in a sentence. Overall, the students have been maintaining a positive attitude and giving their best efforts. I’m proud of their hard work and I look forward to continued success in May.